I’m a proud, passionate northerner. I was born in the north and I live in the north. Cut me, and I bleed Manchester caviar. But for my work, my natural flat vowels are oft shunned in favour of Estuary English. One customer didn’t even realise I was from Manchester! Reader, imagine my horror. So to put this right, here’s a selection – or a ‘hotpot’ if you will – of Northern reads, all slightly different, each with a different purpose. First up is a soft, empathic read with what I describe as a ‘Northern Wash.’ A slight tinge of Northern. (Imagine the ‘Northern Wash’ as an Instagram-esque filter, but for sound. Slip it over the top of a bit of audio and suddenly you can smell the Bridgewater Canal). Give it a listen. And now we have the slightly deranged stylings of a character who I imagine is from the south of the city. Stretford, maybe. Or Urmston. This isn’t the gritty sound of a cobbled alley. It’s the sound of a woman with enough loyalty cards to fill a small skip. This is one of my all-time fave voices. The elderly northern lady. This voice is based on my much-loved late Grandma, Nelly. She loved a fag and a glass of egg flip. If you listen hard enough, you can almost hear the ancient rumble of the Lancashire mills beneath her words. It’s an affectionate voice, big-hearted, comforting and honest. It’s also designed to sound as though I’m wearing dentures that are on the cusp of making an unplanned bid for freedom. The following character was meant to sound obese and overheated. It ended up sounding like a Pound Shop Johnny Vegas. See what you think. And of course then there’s my ‘Scouse Wash.’ I bloody love Liverpool. I had my first ever professional acting job in Liverpool. Before I got the job I’d never really done a Liverpool accent but as I was going to be performing every night in the middle of the city to a largely Liverpudlian audience, I had to get the accent right. During the rehearsals and the run I stayed with the playwright, my old pal Jonathan Harvey and his family. (His mother made a *sublime* lemon meringue pie). I loved the city, I loved my time there. I hope you can hear that in this script – a gorgeously written piece that’s really a love-letter to the city. It was a joy to read. 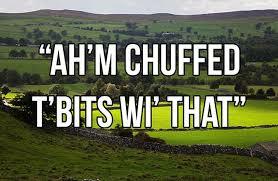 Here’s a soft Lancashire accent. This is actually the second take I gave the client. The first one was more full-on and a far thicker accent…but this was the version that scared the client the least. You’ll hear the curled ‘r’ sound and the distinctive Lancashire diphthongs. 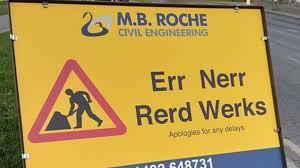 An here’s a light West Yorkshire accent. My dad was from Leeds so I grew up with this vibe. When I was reading that ad I didn’t go too far to the east of Yorkshire, because…well…see below. If you’d like to send me a request, or check what other accents I do just drop me a line. Want to hear some other voices? Here’s a selection of straight reads. Click here to listen.